Some of us struggle to get deep meaningful sleep that rejuvenates our body and mind and some us fall asleep in 2-3 minutes after our head hits the pillow. Here are a few tips to help those who struggle to fall asleep. We all know by now the benefits of getting enough sleep. In fact, the time we log in bed resting is as important, if not more so, than what we do in the gym. You can sweat with the best of them, but contrary to popular knowledge, skimping on rest to get in an early morning workout will only hurt not help your progress. Since deep sleep is when muscle-repairing occurs, and because a lack of rest throws off the hormones responsible for appetite and fat burning, you should treat your shut-eye with as much dedication as you treat your workouts. 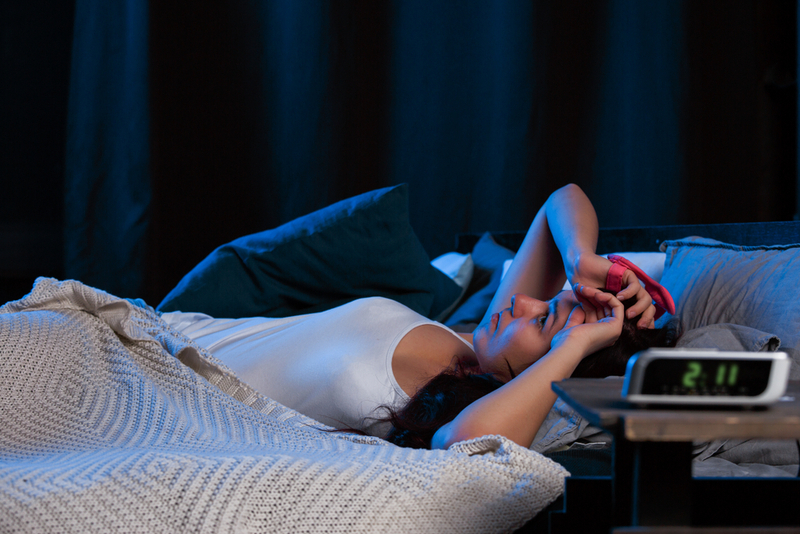 Unfortunately, we’ve all experienced those nights of tossing and turning—and for some of us, struggling to fall and stay asleep is a nightly occurrence. While entire books have been written on the topic of how to get better sleep—and if it’s something you struggle with, we totally suggest you dig deeper into the topic, here are a few tips, some you may not have heard before, that can help you get a much better night’s rest for you, starting tonight! Any little light can disrupt your sleep whether you’re conscious of this interruption or not. Common culprits include the blue-glow from a TV, phone, or even a computer monitor. Make sure all tech is powered down or at least covered, nix nightlights near the bed, and if need be, hang light blocking curtains to make sure your room is truly dark. An eye mask will always do in a pinch. Ever tried to sleep when you’re sweating? Aside from being just plain uncomfortable, trying to sleep when you’re hot has been shown by science to be tricky (if not impossible altogether.) The ideal temp is around 60-67 Fahrenheit, though much colder than that can also be detrimental. In case you needed yet another perk to regular exercise, studies have linked it to quality, restful sleep. And you don’t need to log hours to reap the benefits, just a few minutes. Certainly a short-but-intense bout of working out such as an EMS workout will do the trick. However, avoid any rigorous fitness for at least a few hours before you plan on falling asleep, as getting your heart rate up and body revving right before you try to power down will be counter-productive. Ever treated the weekend or off days as a chance to “catch up” on sleep you missed during the week? Science points to consistency in your sleep and waking times as the better option for the long haul. Do your best to stay with in a small window of when you shut down and wake up each and every day, and you’ll allow you body to acclimate to an internal schedule, avoiding that “jet lag” feeling when your sleep schedule is all over the map. · Turn off all blue light, cellphones, laptops and TV’s at least 30 minutes before you go to bed. · Take a hot shower, warm up all your muscles and let them relax. Keeping your routine consistent develops good habits for your mind and body, allowing you to get solid shut eye, be well rested and sharp throughout the next day. If you are able, setup a good morning and evening routine to start and end your day on the right note. Happy resting, and here’s to quality rest, repair, and results you’ll see and feel in your Mind and body!